Mini Mod are back this season and this time they're a little more edgy! 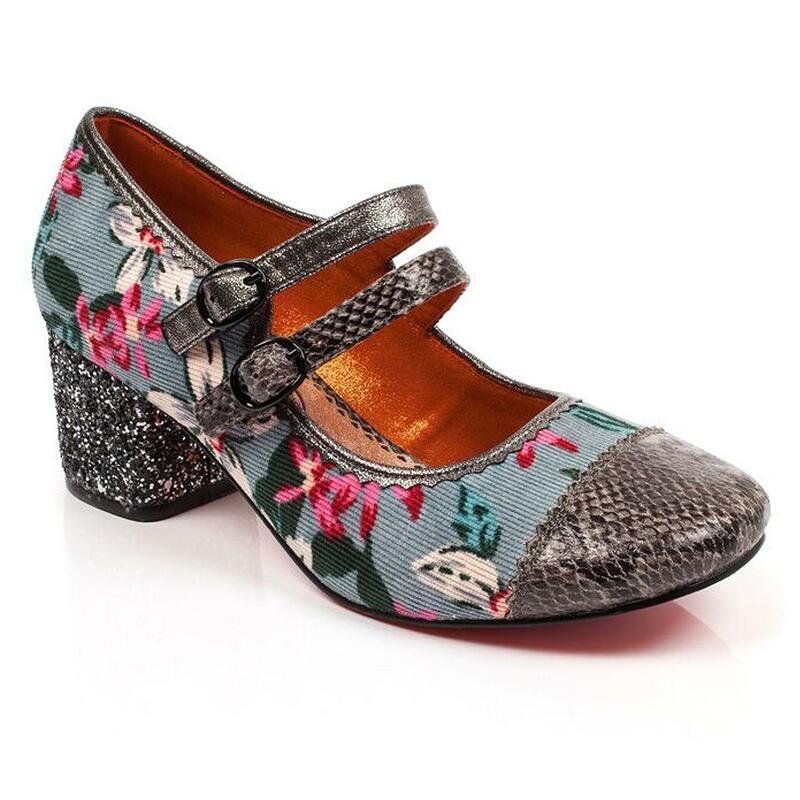 Poetic Licence by Irregular Choice have created this little swinging sixties footwear number consisting of a blue floral corduroy upper with a complimenting faux snakeskin toe, stylish double buckle strap fastening and black and silver glitter covered block heel for extra pizzazz! 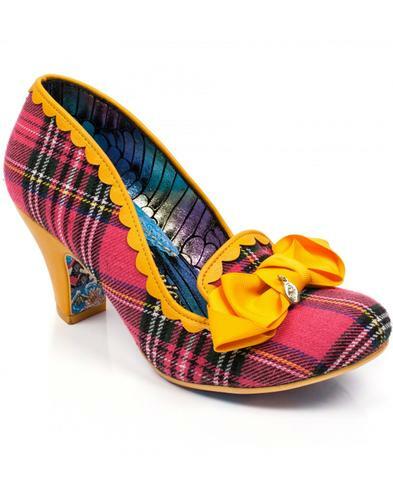 Dance the night away in these fab Mod Poetic Licence heels! 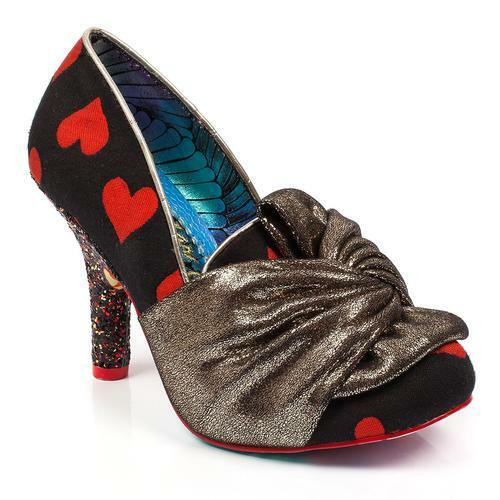 - Mini Mod Poetic Licence block heels by Irregular Choice in grey. 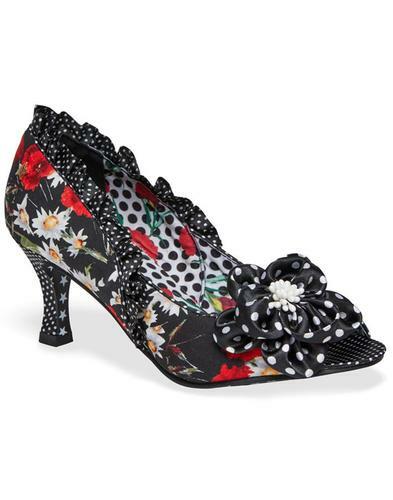 - Blue floral cord upper with white and pink flowers. - Faux snakeskin toe and strap. - Double strap with black buckles. 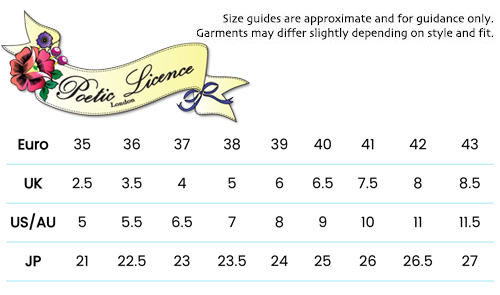 - Metallic silver scalloped piping and strap. - Black and silver glitter encrusted block heel with black heel cap. 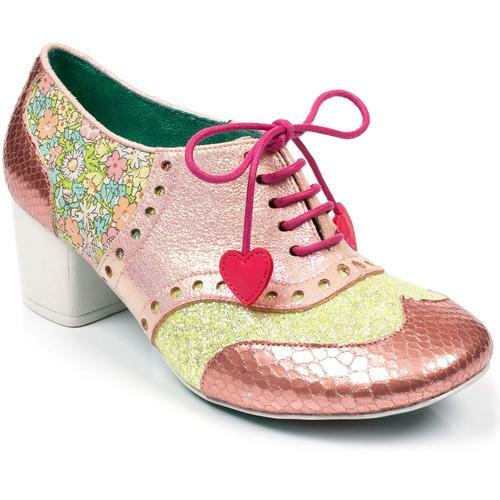 - Shiny and sturdy printed sole.